Linda Slucker is still in awe of some parts of her job. Take walking in the front entrance to the White House, something she has already done four times. Slucker, who lives in West Orange, was installed as national president of NCJW in March, for a three-year term. As the voice of 90,000 members of National Council of Jewish Women, this stay-at-home mom, who has made the progressive Jewish women’s organization her career, now takes a seat at some of the most influential tables in politics. She didn’t go to graduate school for public policy; rather, her training was all hands-on, over 35 years with the organization and 12 on its board. Among her most effective tools, she said, are “honesty about my passion about the issues, and knowing what our constituents want me to say.” And it doesn’t hurt to network. “It’s all about relationship building and coalition building,” she said. On a recent rainy Thursday morning, sitting on a deep red floral patterned easy chair in the living room of her colorfully decorated townhouse, Slucker described what it’s like to lead the 118-year-old organization at a time of economic distress and political urgency, and the main issues facing women today. At the top of her agenda is keeping the organization viable over the long term. That means, in a nutshell, fund-raising, her demonstrated expertise locally and nationally. “People think it’s a volunteer organization, where women give their time, their passion, and their commitment, but not their money. People have to understand that money and passion go together,” she said. While she said the organization has done better than most in economic hard times — before the economic recovery, 2009-2010, she said, “we raised more money than in a very long time” — a new development director will join the organization in June. Slucker’s vision includes more million-dollar gifts going to NCJW. “I know there is capacity — women who feel the commitment but haven’t been tapped. I see it, I feel it,” she said. Looking at the issues, abortion rights top the organization’s agenda, Slucker said. Other key NCJW issues, she said, are maintaining safety nets for underprivileged families and children, preventing domestic violence, and protecting civil liberties, especially for the gay and lesbian community. Slucker said she plans to turn up the volume on grassroots advocacy — encouraging members to send letters and forward on-line petitions to legislators. But watch also for a concerted effort to raise the number of members. “We are at 90,000 people in the country. If you think of how many progressive Jewish women are out there — we should be at 190,000,” she said. The organization, as always, will not endorse any candidates in the 2012 presidential election but will focus on preparing voters. Slucker said she is looking forward to the organization’s 2013 Washington Institute, when 150 NCJW members converge on DC for a day of lobbying on Capitol Hill. The organization has frequent lobbying days in every state. The Washington Institute, which happens every three years, is an opportunity for a larger group to reinforce the efforts she and others in the national office spend advocating among government officials. Slucker and her husband, Rudy, are members of Temple Sharey Tefilo-Israel in South Orange and have two grown sons and one grandchild. Slucker first joined NCJW for social connections. Born in Houston, she had been living in Ohio since high school and was a new transplant to South Orange. “I didn’t know anyone,” she said. The Sluckers raised their family in South Orange, where they lived until about 10 years ago. 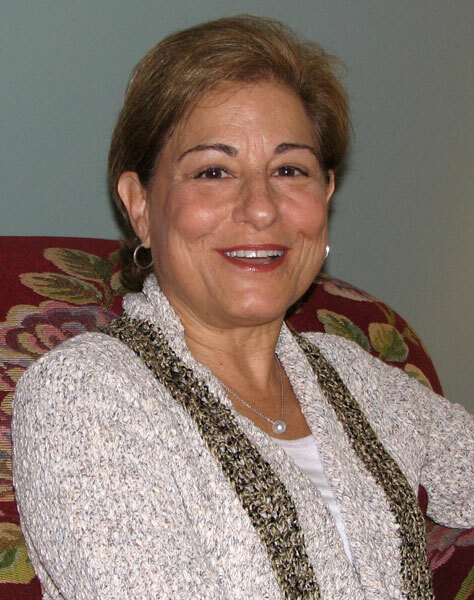 In 1996, she cofounded the Rachel Coalition, a Jewish Response to Domestic Violence in MetroWest and served as its copresident until 1998. 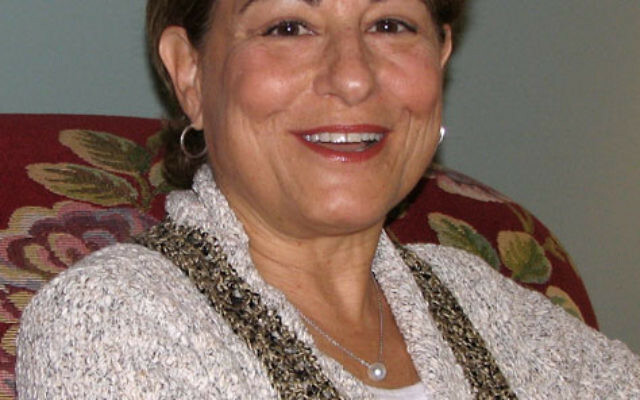 During her 1996-98 presidency of NCJW’s Essex County Section, she established and served as chair of its Legacy for the Future Endowment Fund, which was created to ensure the long-term financial viability of the section. She moved from local to national leadership, and has served on NCJW’s board as assistant treasurer and vice president. She has served on the investment committee and chaired the NCJW Fund Development committee. One of her proudest moments, she said, was watching as President Barack Obama signed the Lilly Ledbetter Fair Pay Act of 2009, which extended the ability of women to file equal-pay lawsuits, a cause that NCJW actively supported. Slucker also served as a spokesperson for BenchMark: NCJW’s 2002-05 Judicial Nominations Campaign, whose aim was to get more women in the judiciary.